Interfaith gatherings — in the form of peace marches, prayer breakfasts, demonstrations, panel discussions, academic conferences and inter-religious ceremonies — have grown in popularity over the last 5 years. If you have seen one of these events advertised in your community, you may have thought it was a nice thing for other people to attend, but that it wasn’t for you. Or despite all the advertised information, you may have only noticed the word “faith” and thought, “that is an event for religious people or people who belong to a certain religion.” I assure you that neither are true. Interfaith events may feature representatives from the various spiritual traditions from around the world, but they are certainly intended for — and convened around — everyone. An interfaith event may include attendees from religious and non-religious groups, atheists, scientists, politicians/city officials and academics. They may even include atheists or religious “nones” (those that don’t identify with a specific religion). These voices are gathered to engage in ongoing conversation about how to communicate effectively regardless of our differences, or how to respect the opinions of others, or ways to achieve peace in the world through non-violent means, and it is your perspective — and your voice — that deserves to be included. 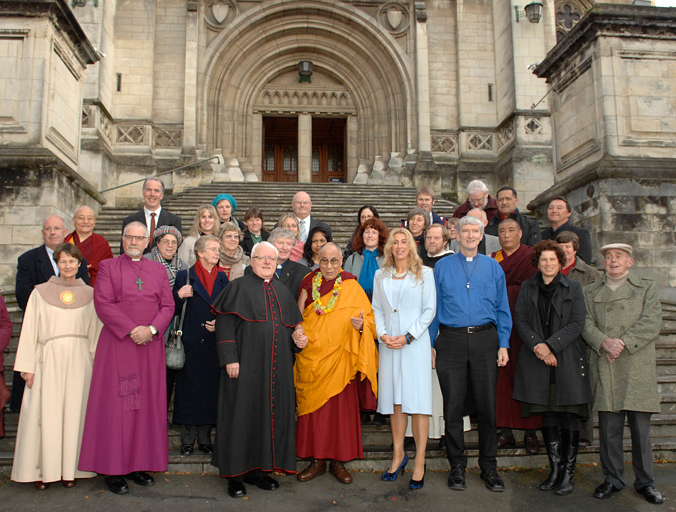 Interfaith conversations can include such topics as ethics and morality; love and compassion; service to the community; climate change and global warming; personal spiritual practice such as prayer or meditation; social justice; human rights issues for women, children and minorities; or liturgy and the history of ritual as it relates to cultural and religious traditions from around the world. But don’t fool yourself into thinking that these conversations are dry, academic, monotonous and uninspired — like some sermons or speeches tend to be. Most of these events are lively and passionate (sometimes heated), are fun and inspiring and most times involve great food and a focus on community. No matter what model you’re using — the “Four S’s of Interfaith” or the “Interfaith Triangle” — using conversation to defuse violence and tension through peaceful means is something that we need more of in the home, the workplace, and the world. Using words to solve our disagreements and learning to take the role of other is one of the best examples we can set for our peers, our communities and our children. Peace begins with you. Discussing topics like spirituality and religion with others allows you to see the world through their eyes. And learning about others’ feelings, cultures and opinions helps you become more aware of the various perspectives that comprise our world. Allowing others to feel safe and encouraging them to share deeply — including sometimes personal details — is also a way to foster interpersonal connections that can bring about an expanded sense of awareness within your family, neighborhood and your community. By expressing and sharing together in this safe space, we are contributing more wisdom to the world — more goodness, more truth and more beauty. There is no equivalent of a “mega church” in the interfaith community. Most of these organizations are grassroots, very small and run by a few volunteers who are dedicated to a mission of unity and world peace. Most of these events do not benefit the individual faith communities, but give directly back to the community they are hosted in, donating proceeds to local charities and encouraging others to do the same. The charities are usually connected to universal concerns like human rights, hunger, poverty, the homeless and the abused. Consider showing up early and helping set up chairs or staying late and striking tables. It’s for a good cause and will be greatly appreciated. (L-R) St. Petersburg Mayor Rick Kriseman, Interfaith Week founder Joran Oppelt, and Ron Magray. 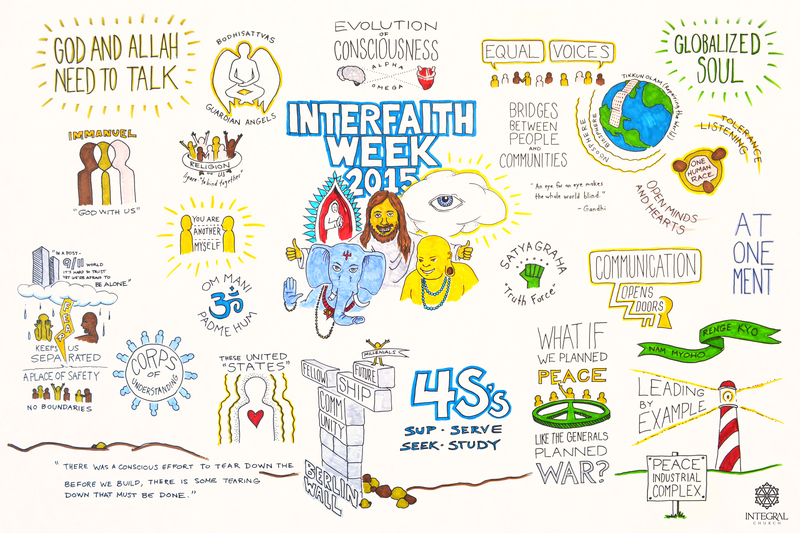 The first annual Interfaith Week was a success. Thank you to everyone who attended or participated in our panel discussions and opened their campuses and communities up to those seeking to learn more about other faiths and forms of worship. There were some great conversations, and many new friendships were started, but this is only the beginning. Hopefully these new relationships and ongoing conversations can create a lasting effect in the greater community, whereby individuals and groups begin to see their own faiths, communities and cultures as part of a pluralistic whole. Something that exists in relationship to others, and depends on those others to give (and reinforce) meaning to their own beliefs. Below are videos of the mayoral proclamation, the Interfaith Service at Crisp Park and a slideshow of images from the entire week. Please keep checking back for more interfaith events. 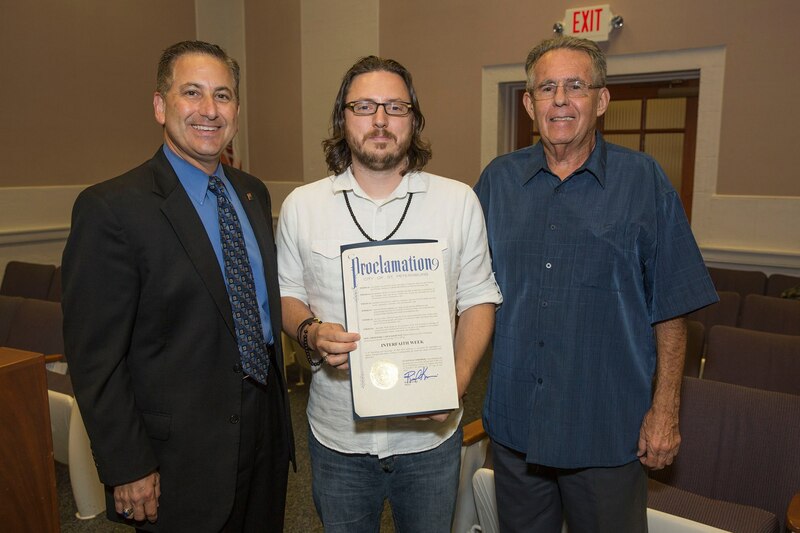 Mayoral proclamation of “Interfaith Week” before St. Petersburg City Council on 7/17/14. 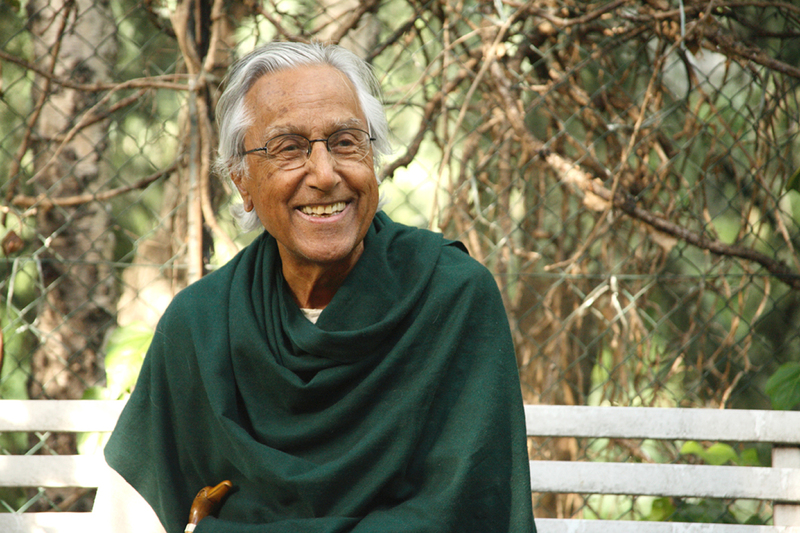 Ed Woltil and Swami Jinendra Kothari were special guests at the Third Sunday Interfaith Service at Crisp Park. Thanks to Jan Magray for sending this our way. Enjoy. When you dialogue with somebody, look at your partner as a revelatory experience as you would — and should — look at the lilies in the fields. Blessed are you when you do not give up your convictions, and yet you do not set them up as absolute norms. Woe unto you, you religious authorities, because you prevent change and (re) conversion. Woe unto you, you religious people, because you monopolize religion and stifle the Spirit which blows where and how she wills. We sometimes hear people talk about, “one God,” or “one love,” or that the many world religions are simply “different paths up the side of one mountain.” But, what if that mountaintop actually was different for everyone? What if it looked and felt different to everyone who found the courage to climb? God can be described or experienced (sometimes in the same turn) as loving, wrathful, or ambivalent – not to mention perceived by some to be male, female, or even beyond gender. The ground of Spirit is viewed through a cultural lens by those who are seeking to commune with it, and it can be described as pure energy just as easily as it can be painted as an eight-armed deity or rendered a winged female with a halo. Conversely, a person’s culture can be tinted by their spiritual worldview, leading to a rigidly hierarchical class system or a life committed to giving to those less fortunate. This approach goes a long way in assisting current methods of interfaith dialogue. When everyone thinks they’re talking about the same “God,” and the same definition of “spirituality,” yet still ends up leaving the conversation angry, frustrated and confused, it could be that not addressing religion’s “job to be done” is part of the reason. Prothero’s book is highly recommended, but in the meantime, the following video features Prothero discussing many (if not all) major points of the book. It is an hour-long episode, and embedding is disabled, but click through to the C-Span site and enjoy! And, as usual, please leave your thoughts and comments below.